It’s fair to say that conditional reasoning is either the bane of your test prep, or a welcome escape from the uncertainty that plagues causal reasoning. In the first few months of test prep, you will likely see conditional reasoning everywhere: understanding conditional reasoning can easily turn into an obsession, prompting you to diagram whenever you come across any of the indicators of conditionality. The costs of this approach ultimately outweigh the benefits. As you progress through your studies, you will hopefully develop a more careful, judicious approach to diagramming. As we’ve said in the past, you should diagram only when you think it will help you better understand what the author is saying. Not until the car came to a complete stop did we see the damage to the front bumper. In all of these examples, the clause that follows immediately after the preposition not until is the necessary condition. The remainder of the sentence functions as a sufficient condition. The same would be true with not unless and only when. All of these are necessary condition indicators. None but the brave die young. None of the students finished the test, except for those who had prepared for it. No cars except SUV’s can safely travel this road. All but 1st year associates received a raise. In other words, only one of two outcomes are possible: either you are a 1st year associate who didn’t receive a raise, or else you are not a 1st year associate who did receive a raise. 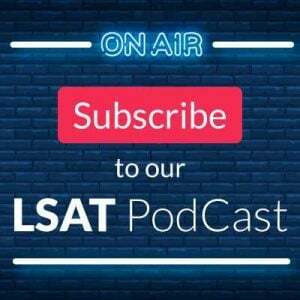 Keep in mind the above is not an exhaustive list of sufficient and necessary condition indicators: the more common ones have been discussed extensively on our Forum, Blog, and, of course, the Logical Reasoning Bible and LSAT course materials. If your goal is a top-1% score (and why would you want anything less? ), it is important to prepare for each and every eventuality. 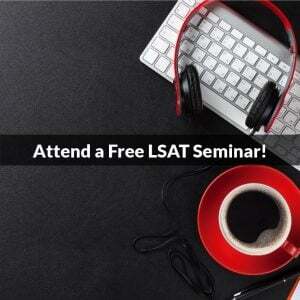 As you’ve probably heard, curve balls on the LSAT are the new normal. Image courtesy of Anders Sandberg. Wow, the blog post is awesome!!! When you explained that “not until” can be a necessary indicator in the forum, that was helpful, but this blog post is that x 10! The “all except, all but” is totally new to me and I’m so happy that I can add that to my conditional reasoning indicator arsenal. On that note, I have a question about “all except, all but” category. It is essentially establishing that 1 and only 1 of the 2 terms must be in/ occur/ take place (loner variable), not allowing for the possibility that both are out/negated or the possibility that both are in/ occurring/ taking place, whereas “if but only if” says both must be in or out (inseparable variable pair), right? Also would it be appropriate to say “all except” and “if but only if” are opposites, since they’re both double arrows with a single negated variable (for the “all except” statements) or with both variables positive or negative (for “if but only if”)? Drawing connections between the types of relationships these indicators represent helps me understand. “All except A are” produces the following two outcomes: either A or B, but not both, must occur. In other words, you are either an A or a B: no one is neither, and no one is both. “A if and only if B” produces the following two outcomes: either A and B must both occur, or else neither A nor B can occur. In other words, you are either both an A and a B, or else you are neither A nor B. Can someone explain if x then y unless z statements? I have discovered that the proper way to diagram this statement is if X and ~Z –> Y. Thanks for the question! The relationship you are describing is known as a Nested Conditional, and we have a great post on that by one of our instructors on that topic, so let’s start there. 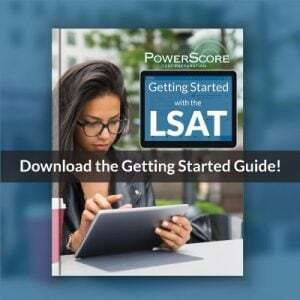 It’s at: https://forum.powerscore.com/lsat/viewtopic.php?f=7&t=7992. I think that will help you out here, but if not, just let us know.